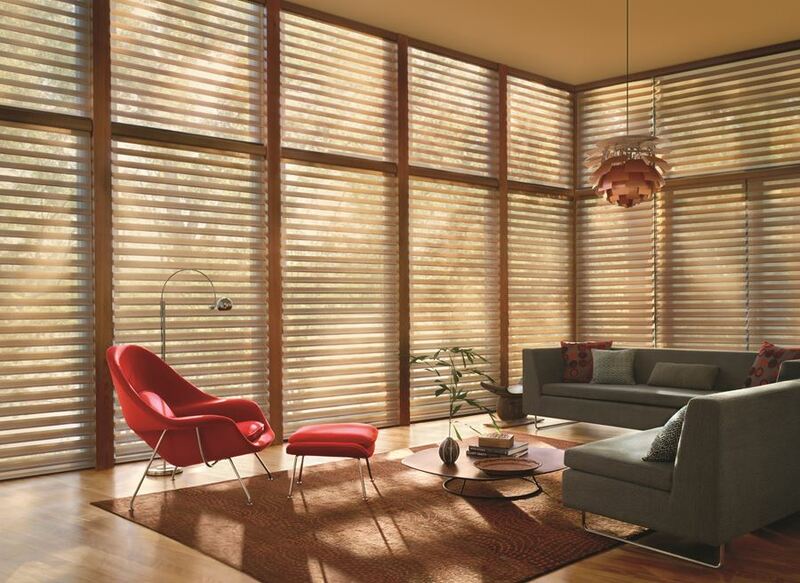 For more than 60 years, Hunter Douglas continues to be the world’s leading maker of window blinds and coverings. Hunter Douglas has been a home for innovators – they continue to lead the industry in innovating new and propriety window coverings without compromising on style. Hunter Douglas offers a wide range of product configurations and all of their products are known for its energy savings and high sound absorption properties. The Curtain Boutique is a leading Blinds & Curtains Supplier in Singapore and we are proud to be the authorised gallery dealer for Hunter Douglas, and as an authorised gallery dealer, we carry an exclusive range of Hunter Douglas products. Unlike the standard Venetian blinds where all the slats – be it aluminium, wooden or PVC – are held together with either strings or tape, Pirouette® Window Shadings are made of soft fabric vanes which are attached to a sheer backing. This makes the fabric vanes appear to be floating and when each fabric vane expands with a gentle pull of the cord, you get the ultimate view of the outdoors that no standard venetian blinds can achieve. This reduces the need for artificial light, which in turn, help you save on electricity bills. Not only does the layer of sheer fabric plays an important role in holding the soft fabric vanes in place, it also helps reduce glare and at the same time, protect your furniture and flooring from sun damage. The vertical vanes of Luminette ® Privacy Sheers rotate 180 degrees which provide the widest range of light control. These vertical vanes are held together with a layer of sheer fabric to protect you from harmful UV-rays even when the vanes are open. When the sheer is drawn closed, the fabric conceals the track fully, giving you a clean and uniform look. The fabric vanes are available in two opacities – translucent and room darkening. The translucent fabric vanes create a luminous glow and discreet privacy while the room darkening vanes blocks more light and provide even more privacy. Luminette ® Privacy Sheers is highly recommended for families with young children as there is no dangling cords for enhanced child safety. Similar to Pirouette® Window Shadings, Silhouette® Window Shadings creates a floating illusion with the Signature S-Vane™ attached in between two sheer fabrics. As there are two sheer fabrics layer, the view into your home is obscured while still providing a soft, diffused view of the outside. Silhouette® Window Shadings provide 88% of UV protection when the fabric vanes are opened and 99% when the fabric vanes are closed. Choose from three levels of opacities for different light control – Semi-sheer, translucent and room darkening – and three different vane sizes – 2”, 3” and 4” – for different view-through levels. Unlike most sheer fabric which has a visual “swirling effect” in the fabric (also known as the Moiré effect), Silhouette® Window Shadings offer the best view-through. Known for its top-down and bottom-up operations, Duette® Architella® allows compact stacking which provides uninterrupted outdoor views when fully raised. Duette® Architella® is the only shade that is proven to have excellent energy-saving performance. Its patented honeycomb construction reduces heat and at the same time, harnesses daylight and diffuses it deep into the room. It is also proven to reduce outside noise. Duette® Architella® fabric blocks up to 98% of harmful UV-rays, and is easy to care due to its anti-static and dust-resistant properties. It is also designed to last for a long period of time as the fabrics used do not wrinkle or sag easily. Duette® Architella® can cover virtually any windows and is therefore, a great option if you have odd shaped windows. Choose from different honeycomb construction – single, double or triple – and opacities – sheer, semi-sheer, semi-opaque or blackout for different sound absorption and light control options. Roller shades are extremely popular due to their simplistic beauty and ease of use. There are three distinct fabrics for Hunter Douglas’ roller shades – OptimascreenTM, HelioscreenTM and Designer – of which there are a myriad of colours and styles to choose from. Like all standard roller shades, Hunter Douglas’ OptimascreenTM roller shades allow a full view of the outside while providing visual comfort. What make OptimascreenTM different from standard roller shades are its odourless and anti-microbial properties. With these properties, indoor air quality is well preserved. Furthermore, OptimascreenTM features polyester fabric that offers users more than 50% in energy saving costs. If you are interested in fire-resistant roller shades, HelioscreenTM will make a good choice. Featuring its fibreglass strands, HelioscreenTM is dimensionally stable and resistant to expansion and stretching from heat. It is so durable that it can be installed outdoors. Fabrics installed externally offer up to 90% protection from UV and solar heat for a comfortable working environment. While blocking out direct sunlight, HelioscreenTM provides excellent view of outdoors. Choose Designer Shades for basic translucent or basic blackout roller shades. The main difference between translucent fabric and blackout fabric lies in its light and privacy control. Basic translucent roller shades offer various options of light filtering fabrics. On the other hand, basic blackout roller shades completely blocks off light and glare from entering rooms, offering you full privacy. Hunter Douglas products are known for its compactness. It is no different for Vignette® Modern Roman Shades. Traditional yet modern, Vignette® Modern Roman Shades feature consistent folds, keeping windows uncluttered and a clear view-through. Stack up, down, left, right, or anywhere in between for the perfect balance of privacy and light; Hunter Douglas’ Vignette® Modern Roman Shades is the only roman shades that can be done in both horizontal and vertical orientation. Vignette® Modern Roman Shades block at least 75% of harmful UV-rays and depending on the fabric chosen, Vignette® Modern Roman Shades can reduce heat and outside noise. Discuss with our sales consultant to find out which fabric gives you a higher degree of sound control. Made from the finest quality wood, the Country Woods® wood blinds which comes in matching valance and bottom rail, create a warm and intimate mood. Both Country Woods® Classics™ and Country Woods® Expose™ features TopShield™ finish – an exclusive Hunter Douglas feature that provides the ultimate protection for your wood blinds which makes wood blinds extremely durable and easy to clean. Furthermore, both wood blinds come with de-Light™ feature that is designed to reduce light leakage and ensure a higher degree of privacy which no other standard wood blinds can achieve. The main difference between Country Woods® Classics™ and Country Woods® Expose™ is that Country Woods® Expose™ offers exclusive decorative tapes. Unlike the standard Venetian blinds where light can still seep through cord holes, Hunter Douglas’ Venetian blinds are the only type of Venetian blinds with the de-Light™ feature which reduces light leaks and increases privacy. Furthermore, Hunter Douglas Venetian blinds provide a wider outside view unlike other standard Venetian blinds. With the exclusive spring-tempered alloy slats, Hunter Douglas’ Venetian blinds are durable to the core. The slats are resistant to abrasion, peeling, scratching, dulling, discolouration and corrosion. They are also a lot easier to clean as compared to the standard Venetian blinds due to its Dust Shield™ finish, which repels dust. Vignette® Modern Roman Shades block at least 75% of harmful UV-rays. Select from different types of perforation and material to achieve different light, privacy, and thermal control. We also have venetian blinds suitable for outdoors. Discuss with our sales consultant to find out more. Hunter Douglas’ vertical blinds are different from the standard vertical blinds. Its patented ‘self-alignment’ technology ensures fabric vanes are consistently in position – hang straight and parallel – giving you a clean and uniform look. It is recommended for high and large windows. Hunter Douglas’ vertical blinds are also a great option if you have odd shaped windows. 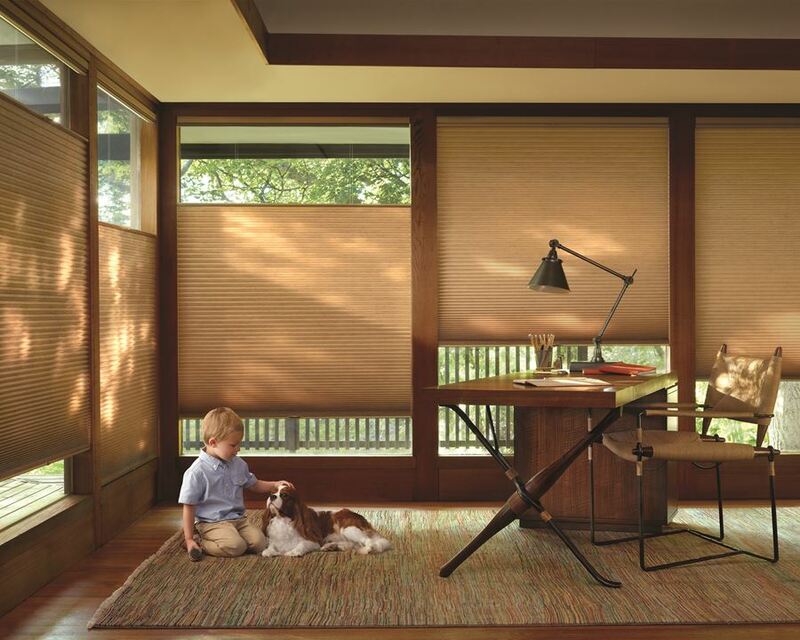 Hunter Douglas’ vertical blinds provide at least 75% protection from harmful UV-rays. Hunter Douglas’ vertical blinds come in multiple perforation options. Find the balance between privacy, glare and noise control with our sales consultant here. Made of PVC-coated fibreglass, ECOVIEW® Plus allows natural light in whilst reduce glare. Furthermore, ECOVIEW® Plus offers heat and UV protection. The consistent weave in the fabric ensures that fibreglass does not stretch, shrink or twist, increasing the lifespan of your window covering. ECOVIEW® Plus fabrics are suitable for roller blind, panel glide and roman shades. Completely free of PVC, Greenscreen is an environmentally friendly alternative that is fully recyclable and safe for burning. This is an added safety measure for building occupants in the event of a fire. Contact our sales consultant to find out more. Made of fibreglass strands, HelioscreenTM fabric is fire-resistant. This fabric is dimensionally stable and resistant to expansion and stretching from heat. HelioscreenTM offers up to 90% protection from UV and solar heat whilst provides excellent view of outdoors. OptimascreenTM features odourless and anti-microbial properties, which help to preserve indoor air quality. Made of polyester, OptimascreenTM offers users more than 50% in energy saving costs. Contact our sales consultant to find out more. 100% rot free, Palm BeachTM Shutters are also known for its colourfast properties. As the colour is extruded through the vinyl, colour will still remain true when scratched. It is also guaranteed that the product will never warp, crack, fade, chip and peel under high heat or moist conditions. Not only are Palm BeachTM Shutters waterproof, they are also flame retardant. 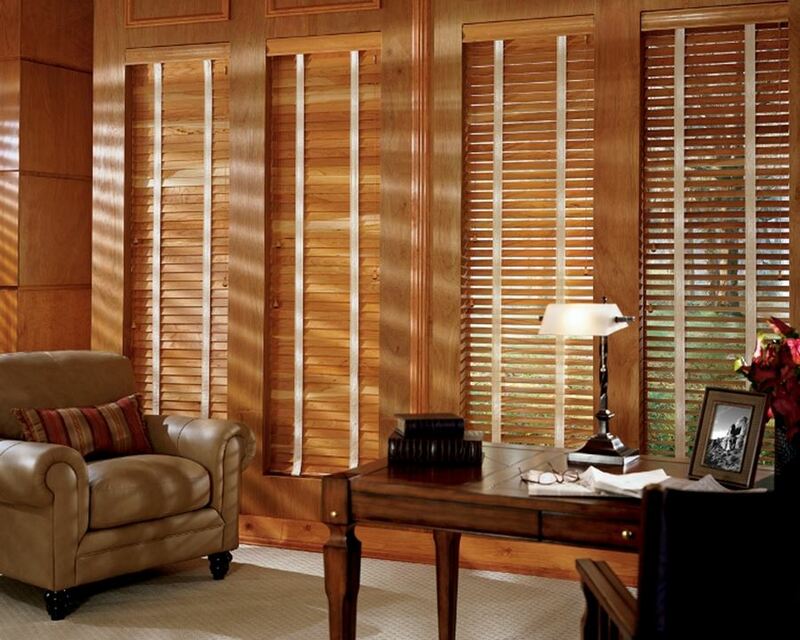 As such, Palm BeachTM Shutters are most ideal for areas such as kitchen, bathroom and sauna. Hunter Douglas’ Palm BeachTM Shutters are highly versatile and they come in many configurations – choose from 4 fashionable colours, 3 louver sizes and 3 different track systems – standard hinged, bi-fold track or bypass track. For more information, contact our friendly consultant here. Made of 100% natural premium wood and constructed with Truemill® dovetail joineries, Heritance® Hardwood Shutters is extremely durable. With 36 colours to choose from and they can fit a wide range of window and door openings, Heritance® Hardwood Shutters is considered to be one of the most versatile shutters. With the exclusive Integra™ finish – a multi-step finishing process – to bring out the natural beauty of the wood, Heritance® Hardwood Shutters are scratch-resistant. Furthermore, it is proven to reduce heat and block 99% of harmful UV-rays. Unlike the standard shutter, the louver closure of Heritance® Hardwood Shutters is in the upward position, making it one of a kind.